Here at Ocean Coast Electric, our certified team of contractors boasts years of experience in the industrial electrical services industry. We have a variety of different industrial clients we serve throughout Burlington, Mercer, Middlesex, and Somerset Counties, New Jersey, and we are taking new clients daily. As industrial business across the Tri-State region continues to expand, our industrial warehouse electricians are ready to help businesses by providing superior industrial electrical services year-round. With a team of electrical contractors who are expertly trained across multiple areas, Ocean Coast Electrical proudly offers customers a wide selection of services for their industrial and manufacturing electrical needs. Our contractors are more than capable of designing a variety of different systems which can be specifically set up for your industrial needs and proficiency. From there, we can then train your staff on how to properly use these systems on a daily basis. It’s our mission to make sure that industrial facilities across the Garden State are operating in the safest way possible. Regardless of whether the plans you have are already designed, our electrical contractors can properly install electrical equipment that could seem too intricate for other electricians. Ocean Coast Electric is a company that prides itself on great customer service which is why they work with each customer to keep each project on schedule. We offer customers in Burlington, Somerset, Mercer and Middlesex County with 24/7 emergency service and preventative on-site maintenance to keep your business operating efficiently. We are also your one-stop shop and leading provider of commercial lighting replacement services in NJ and PA. 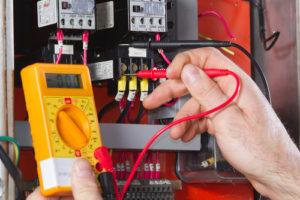 Whether you are in need of commercial electrical installation, maintenance, or a repair, our team has the necessary skills to tackle the job correctly the first time at your industrial facility. We are here to help with both your industrial and commercial electrical needs. With cost-efficient pricing and highly trained electrical contractors, there is no better company to trust than ours. Whenever you pick up the phone to dial Ocean Coast Electric, know that our friendly staff is standing by to assist you. We have a fleet of trucks that are ready to be dispatched to take care of your industrial electrical or commercial electrical service needs. If you would like to learn more about the rest of the services we offer, please browse the rest of our website or give us a call today at (732) 338-8732!